If Justin Trudeau won’t relieve Jody Wilson-Raybould of her lawyer’s obligation to maintain confidentiality – and if he plans to fight any inquiry into the #LavScam obstruction of justice scandal – we all know what that means. It means the Nixonian coverup has started. OTTAWA—The Liberal government appears likely to block opposition efforts to probe allegations of political interference in the criminal prosecution of SNC-Lavalin, while insisting that discussions on the matter with former justice minister Jody Wilson-Raybould were above board. Justin Trudeau’s government will not yet waive solicitor-client privilege, which would give Wilson-Raybould latitude to speak about the allegation, nor will it permit a parliamentary committee to proceed with its own investigation, the Star has learned. Wilson-Raybould has remained silent since the Globe and Mail reported Thursday that senior officials in the Prime Minister’s Office pressed her to seek mediation instead of pursuing criminal charges against SNC-Lavalin. The former justice minister — who was moved from her post in January — has refused to confirm or deny the allegations, saying she is bound by solicitor-client privilege. 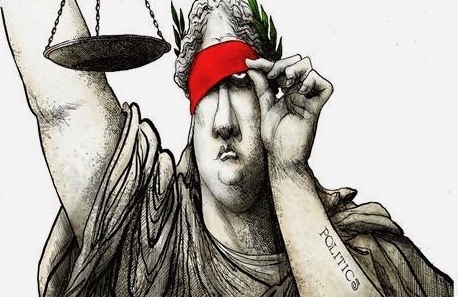 A senior government official, speaking to the Star on the condition they not be named, said Saturday that the government will not waive the privilege — as demanded by opposition MPs — because SNC-Lavalin’s potential criminal trial remains before the courts. A second government source confirmed that the potential criminal trial, as well as SNC-Lavalin’s appeal of prosecutors’ denial of a mediation deal, makes waiving privilege unlikely. Nor will the government agree to demands by the Conservatives and New Democrats for an emergency meeting of the Commons justice committee to summon Wilson-Raybould and Trudeau’s top political aides to testify publicly on the affair, the senior source said. Has her character assassination begun yet? It has in most of the media outlets who did not have the story. The only way they can recover lost ground is the old ‘shoot the messenger’ play. Plus of course there’s the usual Trudeau-centric pundits (not all Quebec based) who scramble for any way available to provide cover for the PM & Liberal pals. Finally there’s those journos & politicians who answer to Quebec Inc. and will defend their benefactors and the province no matter the wrong doing. Given the alleged crime happened in Ontario, can the Ontario AG launch an investigation? Can an Ontario government committee investigate and compel witnesses like Butts, Wilson-Raybould, Telford ect to appear? Could the Trudeau government block any of those people from testifying? Failing getting it into an Ontario government investigation, maybe someone should just leak the information. I mean Wilson-Raybould is a lawyer. You guys are trained to take notes right? She must have Comey style notes on the meetings detailing who said what. The province has no juridiction to interfere and any attempt by it to gain politically from Trudeau’s troubles would make that government look like profitering scumbags. That kind of talk makes people look desperate to get at this federal government at any and all costs. I’m not a lawyer, but my guess (which, unlike some others here, is always based on logic and facts rather than what I really, really *want* to be true) would be no. Trudeau having a majority government means he can block any official inquiries, meaning that the only way to obtain any actual hard evidence of wrongdoing is unavailable. Without that evidence, no law enforcement agency can act….allegations are just not enough without some form of corroboration. I want to get to the truth of this as much as anyone, but I just don’t see it happening without JWR breaking her silence. Or, just ask that Adam Scotti fellow. I am sure he has glamour shots of the chairs flying. Forgot to add, I was told this morning that as many as 10 to 12 people in the PMO were/are involved in this attempted obstruction of justice. This Prime Minister should think back to his father who was clueless when Lévesque had an extrordinarily useful mole right in his office. And they seemingly never found her either, unless Morin told the RCMP SS. Never have I seen a collective more fiercely determined to cut their own throats and concede the next election to the Conservatives…simply mind-boggling. Twitter suspensions are now happening. The Trudeautards are struggling with this. They tell me we should be thankful not to have Steven Harper as Prime Minister. They say at least Trudeau is better than all the others. One flaming Trudeautard argued that the scandalous behaviour with Lavscam happened well before Trudeau. Of course none of these comments are arguemnets. But they are indications of frustration. Ah yes, thank you. I am deeply disappointed with Trudeau’s past few years in office and don’t wish to vote Liberal this fall. But then I see comments from people who use phrases like “Trudeautard” and am reminded “Oh hell no, there is no way at all the Conservatives can be allowed back in power again,” so I hold my nose and vote Liberal as the stinkiest but most practical choice in the end. Yeah, I feel the same often. Not sure why Conservative supporters think calling me a “Libtard” and a “Liberal” and a “Librano” will persuade me to vote for their guy. They’re clueless. Then practice what you preach with Trump supporters, hippocrite. It may go deeper than just the SNC-Lavalin case. JWR would’ve been the one to decide/direct the Huawei extradition issue. Almost lost in all of this was the sudden resignation of Scott Brison that precipitated the cabinet shuffle. Apparently it was just a coincidence that Brison quit (for personal reasons) after allegations of his meddling/lobbying came up in the VA Norman case. Interesting times ahead . . .
And there is absolutely nothing wrong with Scheer meeting with SNC. There is nothing illegal about SNC trying to gather support from politicians to seek a more favorable legal outcome for them. It was all done out in the open with records of the meeting in the lobbyist registry. That SNC met with politicians isn’t the issue here. The issue is the PMO (allegedly) tried to apply pressure to the Attorney General to do something to favor SNC. PMO putting pressure on the AG to interfere in the legal process is called obstruction of justice. The article I read mentioned that Jagmeet Singh also met with them, as did some other NDP people. Well, it remains to be said here that obstruction of justice is not relevant for Canadians voters and their concerns. It’s insider baseball folks, sorry to tell you. Hard to prove obstruction. This all stinks of lawyers and wanna be legal hacks trying to leverage that third year constitutional law class. Voters will decide in a split decision as the Canadian electoral system requires. Breaking News: members of the PMO may have mentioned the new remediation agreement in conversations w/ DoJ employees. Does mentioning this new mechanism more than 5 times in a 20 minute conversation constitute pressure? What about 1 time in 20 minutes? at what frequency does a mention become pressure? Asking for a friend. Going forward, the law that prohibits dirty deals in other jurisdictions ought to be revisited. Why? It’s common practice in developing countries to require a bribe in order to win the contract. Other firms from similarly advanced countries like our own compete for these contracts AND do not criminalize this behaviour and presumably they generate jobs (trickle down is real, people). We need to accommodate cultural practices outside our borders; when in Rome, after all we are the best at celebrating diversity, we should be the most open minded to celebrating greasing palms. The most incompetent prime minister in Canadian history has to resign. The Liberals will be much better served by another leader. Just saw this on Liberal Newsw – sorry, NATIONAL Newswatch (at least that’s what they call it, but anyone who has been there a few times will quickly figure out what kind of stories are prominently featured, and which ones are totally ignored..). I had no idea. This is going from bad to worse for the Trudeau Liberals. Why is it that when conservatives are caught in a scandal, they must never be re-elected but when liberals are caught in repeated scandals we hear things like, “well at least it’s better than the conservatives”. Just let truth prevail. Whether the liberals or the conservatives are in power, we should all be asking for discovery so that the Canadian people can choose based on truth. Partisan issues should not be mixed with legal issues. It completely erodes any confidence in a government that is supposed to serve us, the people, not the other way around. If liberal supporters want to shovel this all under a carpet just to get liberals reelected, then they are just as guilty as the perpetrators. Same goes for conservatives. Just get to the bottom of it so the voters can pick their poison. And if someone goes to jail because their offence is punishable by law, then just let it happen. To say that a conservative should never get into power again because of the perceived faults of a previous conservative is to suggest that we don’t need a democratic process at all. Let’s all just sign up for the liberal dictatorship right here and now? I don’t think so bucko.